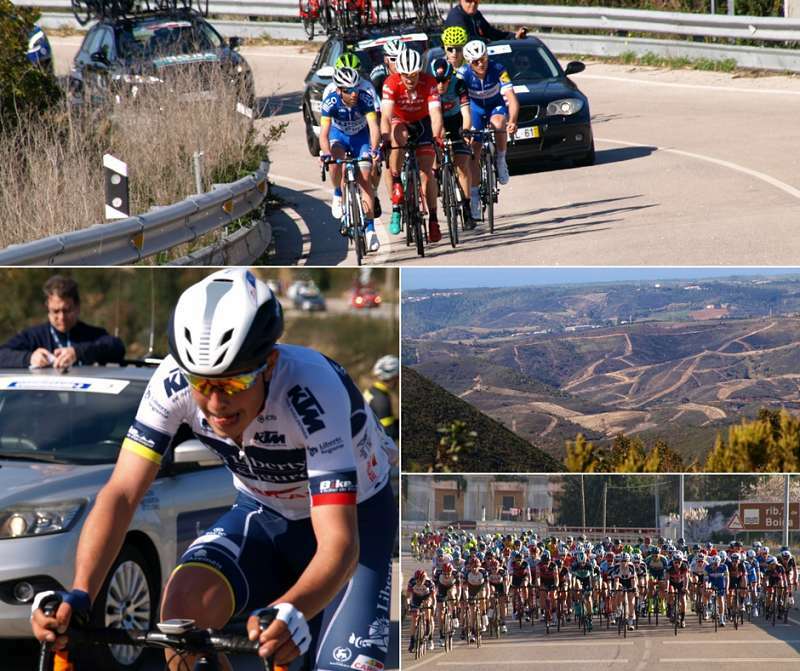 What a fabulous start to cycling in Portugal at the Tour of Algarve with perfect riding temperatures, blue skies shining for the stage start in Albufeira. Riding along the Atlantic coast with the ocean shimmering in the distance we were on a mission to experience all the excitement of the professionals and their first race of the season. 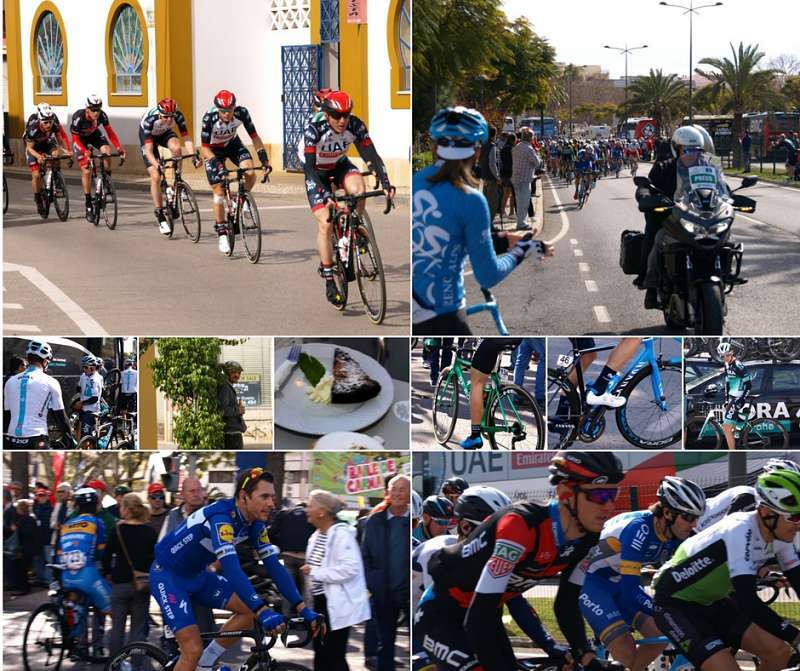 The ‘tanned aussie duo’ of Porte & Gerrans looking relaxed, friendly and in great shape, along with the new riders, new teams, new kits…always time for a café stop to soak up the bike race atmosphere with the town of Albufeira putting on a fine show! Local knowledge is everything when it comes to cycling in Portugal; with so many viewing opportunities we know the ideal route to explore this marvellous landscape. Quaint village life adorns the streets as they cheer on the speeding peloton, with friendly police only adding to the fun in the sun! Spoilt for choice with this ‘Unpack Once Cycle Everyday’ European cycling destination, we head west, the legs start the day a little ‘sticky’ after yesterday’s adventures, although loving every minute wishing to discover as much as possible of this natural beauty we take in our rolling roads. The views of the flag blowing on the castle above the hill, tells us we have made it, well nearly! With the race fast approaching we arrive at our great ‘live viewing spot’ and admire the speed of the professionals climbing. Cycling in Portugal deserves a coffee break in one of our favourite spots of the Serra Monchique, mountain range. Local flavours flow as we head off to the next viewing opportunity, it’ why it’s the Tour of Algarve the relaxed bike race bike tour week! The race has 20km to go, you wouldn’t believe it John Degenkolb (Trek – sprinter) is still in the breakaway…Allez John! Time Trial day the race of truth in Lagoa, who has early season top end power? Easy riding under a basking sun is this really February in the Algarve, Portugal! Visiting the teams warm up area, what a show of equipment, mechanics tweaking time trial bikes, riders familiarizing themselves with their warm-up routines in preparation for the BIG show in July – the Tour de France! We catch some of the early starters for Team UAE warming up, also the super friendly give a nod and a wave…time to ride to our ‘unique live viewing spot’ the beautiful bay of Carvoeiro. Cafes enjoying a great day at the Tour of Algarve and roads lined with local Portuguese support, the beach glistens with a warm 22 degrees. 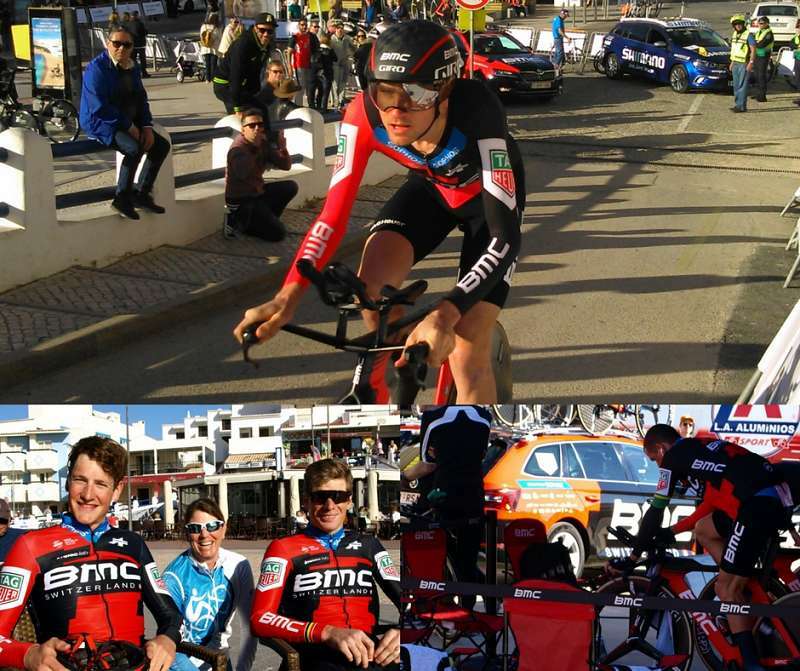 Practice Bicycle know the perfect café on the beach, even the BMC Pros of Jürgen Roelandts and Stefan Kung find the time for a must try, Portuguese tart (pastel de nata). It certainly gave Stefan Kung his superb legs for the climb of Malhao! The atmosphere builds as we wait for the last 10 riders off to flash bye, the technical circuit makes for spectacular viewing and the perfect photo shot. Our final ride opportunity this week cycling in Portugal at the Tour Algarve 2018, and what a ride! The choice route for the day was to target the 3rd Category climb of Picota, the terrain is bumpy, as we pass through kilometres and kilometres of orange groves and their amazing citrus scent…spring is just around the corner and also the beautiful town of Alte. The Algarve villages adorned with white washed houses everywhere, makes a delightful sight as we pass the foothills of the Serra do Caldeirão mountains. 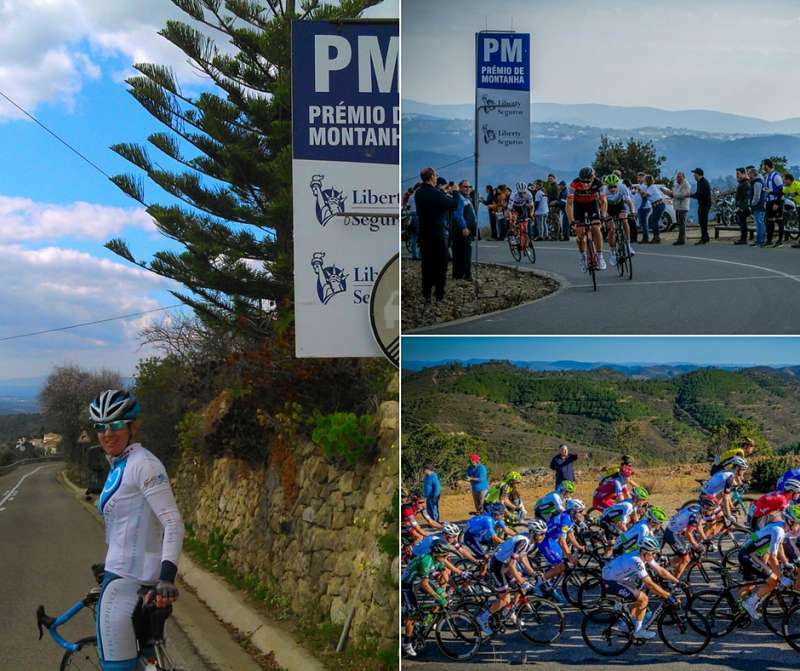 This difficult last stage for the Pro’s amongst the unique rolling hills and with lots of tired legs (ours included) time to applause the climbers testing their legs before their final 3km ascent of Malhao, a super exciting day, beautiful roads what a superb ride, race viewing week in sunny Portugal.